Christa’s is entering our 12th Bridal Season in Southern Idaho. For the past 12 years we have helped thousands of wonderful customers from Idaho, Nevada, Washington, Oregon, Montana, Wyoming, California, Louisiana, Alabama, and even as far away as New York, Australia, London, and Canada. So why do brides come from all over the world to ask for Christa’s help with their dream-wedding checklist? One of the reasons is our dedication to customization. 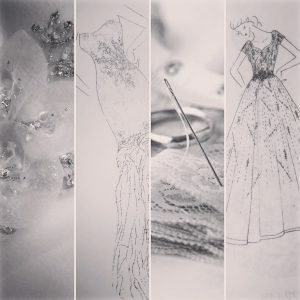 In 2006 Christa brought the very first scarlet-colored wedding gown to Twin Falls, pushing the fashion limits in the Idaho Bridal Industry and making it known that it is perfectly, delightfully okay for all brides to wear their dream dress on their big day, as extravagant or as simple as they wished it to be. Christa has continued to bring the most fashion-forward designs to Southern Idaho; and all of them are customizable. Christa started Christa’s Dress Shoppe as a seamstress, designing gowns before she carried any International Bridal Lines. So that sense of ‘a customizable gown’ has followed us over the past twelve years. It is incredibly important to Christa and all of the Christa’s Consultants that every bride walks down the aisle in the perfect gown for her. 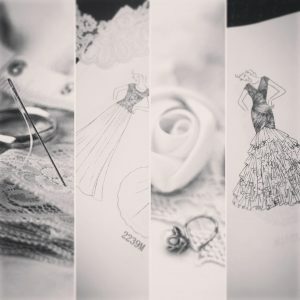 We want every bride to feel beautiful, unique, and like her-wonderful-self on her wedding day. That goal is what has driven every decision we have made over the past decade, which is why all of our bridal lines can be customized. Pretend for a moment that you are at your appointment at Christa’s, trying on your favorite two gowns, one after the other. You are surrounded by soothing music, your most trusted friends, and you have narrowed it down to two incredibly stunning gowns, one from Amarè Couture, and one from Casablanca Bridal. You absolutely love Gown A from Casablanca Bridal, but wish that the neckline was a deeper sweetheart and that the cap sleeve came a little more off the shoulder. You also love Gown B from Amarè Couture, but think it would look even more romantic in an Ivory color than the White the stock piece is in. Luckily for you, you’re standing in Christa’s Dress Shoppe, where wishes come true. You can absolutely have Casablanca Bridal lower that sweetheart neckline and have them make the cap sleeves come slightly more off of the shoulder. And absolutely you can order that Amarè Couture gown in Ivory (in fact, that specific gown can be ordered in five different colors!). Now pretend that you are standing in front of the mirror during your bridal appointment at Christa’s and you like two different gowns (we’ll call them Gown C and Gown D—both from Casablanca Bridal). But this time, you are in love with the bodice of Gown C and the skirt of Gown D. Once again, because Christa’s is dedicated to our customization abilities, we can do that! Not only can we do that, but we can have the designers at Casablanca Bridal sketch the design to make sure you love the combination before it goes into production! There are so many different ways that Christa’s does customization. The following is a list of just a few of the hundreds of changes our factories can make for you. a. Change the neckline; sweetheart, straight, halter, deep-v, lace edge, and on and on! b. Deepen the back of the gown to create a more dramatic effect. d. Make Gown Hem Tea-length. e. Add Straps or Make Strapless. g. Raise or Lower Waistline to create a Natural Waist, Drop Waist, et cetera. h. Make a gown Modest. i. Make a gown Temple-Ready. j. Extend a Gown’s Train Length, or take a way a Gown’s Train Length. k. Add the Bodice of one gown you love to the Skirt of another gown you love. l. Change the Gown Color to White, Ivory, and often Third or Fourth Colors like Sorbet or Light Blue. 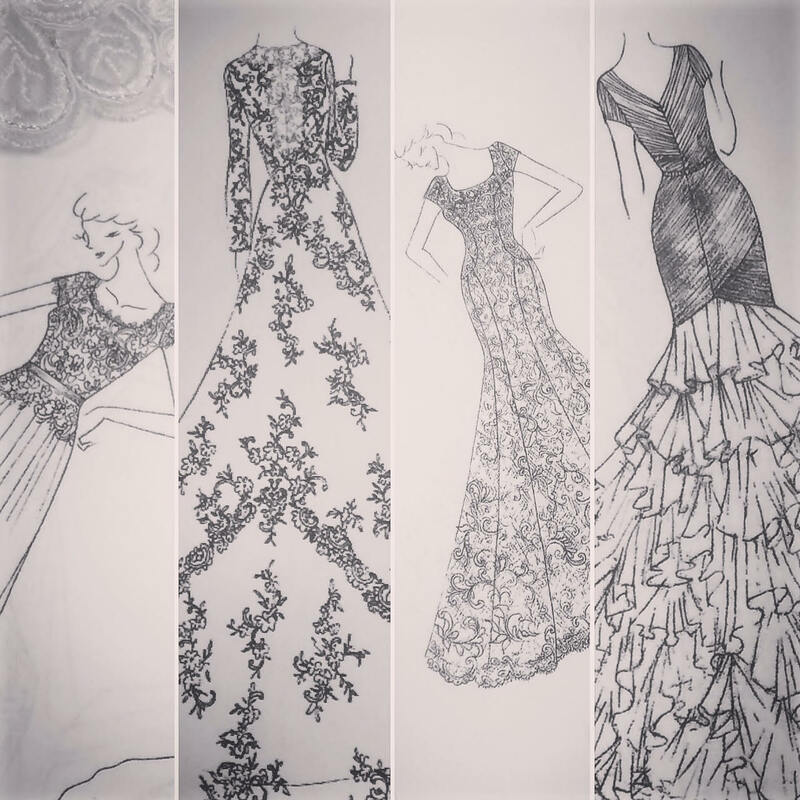 m. Change a Gown’s Silhouette (fit and flare to mermaid and A-line to ballgown, et cetera). Aside from the customization that our companies do, Christa’s also does an extensive amount of customization in-store. 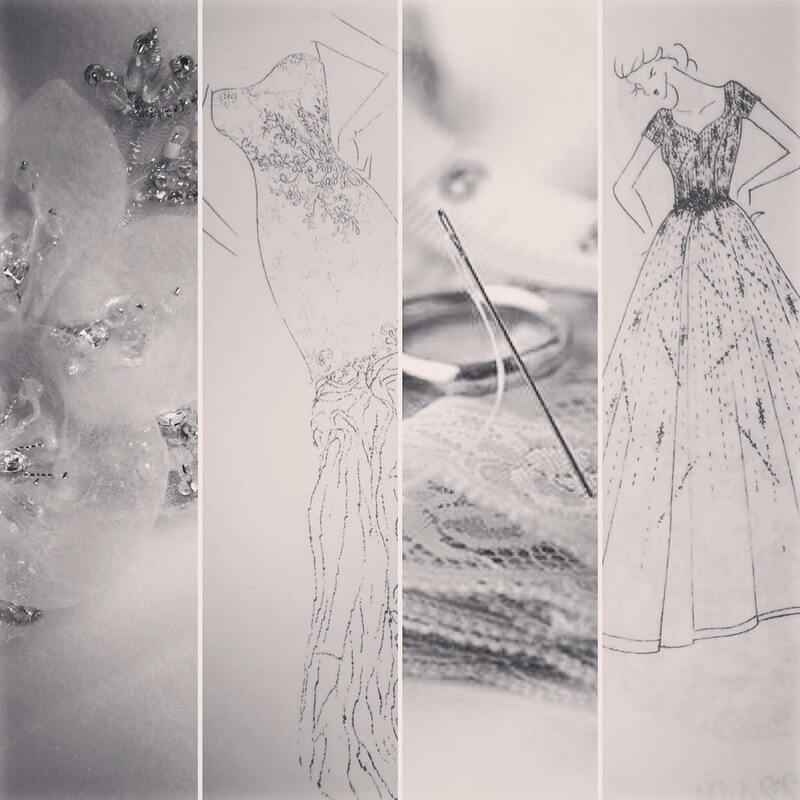 Our expert seamstresses can make customized flowers, belts, do hand-beadwork, additional accessory pieces (and so much more) as well as the thousands of everyday alterations we do every year to ensure your gown fits perfectly such as hems, bustles, bodice work, et cetera! We have added a pop of color to gowns—such as in the sash or the lace-up—and in the past our seamstresses have even sewn in something special to our brides’ gowns—such as a piece of mom or grandma’s wedding gowns or initials of someone special who cannot attend this special day. We have extended trains, added sleeves, made reversible jackets to wear during the ceremony, created matching accessories for the bride and bridesmaids… we could go on and on about the extensive in-house customization we have done over the past twelve years! In addition to Gown-Customization, Christa’s has made sure that the accessory companies that we carry are just as customizable. Our Bridal Shoe Lines carry hundreds of fabulous styles that can be dyed to match your wedding colors, our veils can be altered to different lengths and colors and edgings, and even our jewelry lines have customization options to make sure that every last detail is specific to your taste. Details are important to the Christa’s Family. They are what allow each customer’s personality and warmth to surface on their wonderful, celebratory wedding day. Customization: just one of the reasons why brides from around the world trust us with their special day.